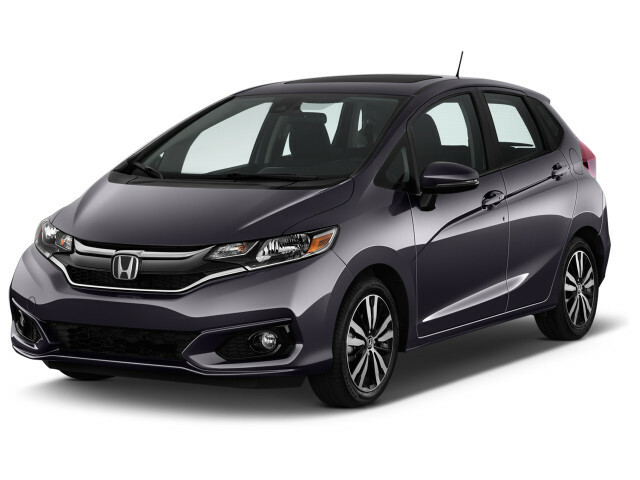 The Honda Fit subcompact hatchback punches above its weight class in fuel economy and versatility. With the Fit, Honda goes head to head with rivals that include the Kia Rio, Hyundai Accent, and Nissan Versa. The Fit has a small-car footprint and compact-car interior space, with excellent cargo and passenger space. The Fit has been thoroughly revamped for a new third-generation model that arrived for the 2015 model year. It's also added a companion model: the Honda HR-V crossover SUV, which is built alongside the Fit in Mexico. For 2018, Honda added standard forward-collision warnings and automatic braking to all but the Fit LX. Retuned steering and dampers, fitted acoustic glass and more sound deadening, and a Sport model with a black interior and Harley-orange stripes were added to the Fit as well. Honda left the Fit unchanged for the 2019 model year. The current Honda Fit is powered by a direct-injected 1.5-liter inline-4 that produces 130 horsepower and 114 pound-feet of torque. 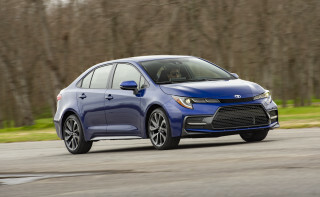 A 6-speed manual is the standard transmission, but most Fits will arrive at dealerships with a continuously variable transmission (CVT) that maximizes fuel efficiency, and return EPA ratings of up to 36 mpg combined. One of the most obvious changes for the new model has been its styling. While the first two generations wore cute and cheerful sheet metal, this third version has morphed into a sort of robotic-looking angular design. Thankfully, the current version retains the same basic profile with a very laid-back windshield and upright rear end. The latest Fit has a more grown-up ride than before and traded some of its sharpness and steering response for a comfort-oriented calibration. It's less of a joy to drive, quite frankly. The so-called Honda "Magic Seat" and its many configurations returns for this generation, and provides as much utility as before. We're actually somewhat surprised that no other automaker has copied this masterpiece of space engineering. The Fit has earned the top IIHS rating of "Good" in all tests except the tough small-overlap front crash, where it hasn't been rated. The NHTSA gave the Fit five stars in its overall rating. The Fit was joined by the Honda HR-V for the 2016 model year. 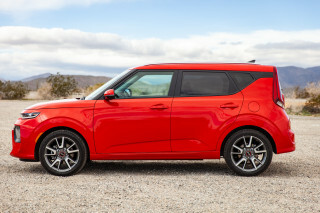 That subcompact crossover is based on the Fit and offers a similar interior layout with the Magic Seat, but it uses a larger engine and offers all-wheel drive as an option. The styling of the HR-V is also in line with other Honda crossover models instead of the Fit's angular edge. It's the Magic Seat that has given all Fit hatchbacks their versatile and generous cargo space. The design allows the back seat to fold into several different positions, including both forward and backward. Owners can create a low, flat cargo floor or provide space for exceptionally tall cargo, like a potted plant or a mountain bike. The clever seat arrangement premiered on the original 2007-2008 Fit and has been carried over to all subsequent models. The first-generation Honda Fit had been sold overseas as early as 2001, and was noticed for its excellent reliability, low running costs, and good resale value, before it landed on our shores for 2007. Both the first and second generations of Honda Fits were just more fun to drive than their competitors—though the Ford Fiesta and Chevy Sonic closed that gap. The first-generation Honda Fit was only sold in the U.S. for two model years, 2007 and 2008. The second generation ran from 2009 through 2013. In its first generation, the Fit came with a 109-hp, 1.5-liter 4-cylinder engine fitted with Honda's VTEC valve system. It was offered with either a 5-speed manual or 5-speed automatic sending power to the front wheels. 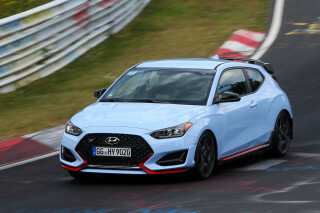 Performance was sprightly if not downright quick, and its steering and suspension had a definite sporty tune to them, which made the task of piloting the small inexpensive car a joy rather than a chore. The 2009-2013 Fit again offered a single engine: this time, a 117-hp, 1.5-liter 4-cylinder, which could be ordered with a 5-speed automatic transmission, but came standard with a 5-speed manual gearbox. 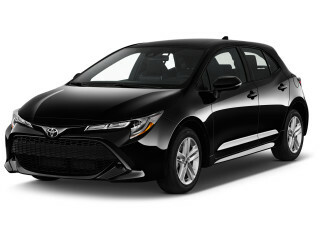 On Sport models, the automatic came with paddle shifters for manual control of gear selection, along with an optional touchscreen navigation system and better audio connectivity. 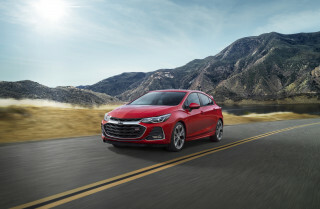 The lineup for each model year of the second-generation car included Fit and Fit Sport models, with the Sport in recent years adding alloy wheels, foglights, and a rear stabilizer bar, plus cruise control, keyless entry, and steering-wheel controls. Safety has been a strong point for the Fit throughout. Standard safety features for the second-generation car included side and side-curtain bags as well as active head restraints. The Fit was one of few small cars to get top scores from the IIHS for frontal and side impacts. During the second generation, the Fit saw only minor upgrades to equipment and features. Changes for 2012 included expanded steering-wheel controls and upgraded fabrics. There were no significant changes for the 2013 model year. The 2013 Honda Fit EV all-electric model was offered only in very small numbers and only to customers in California and Oregon. Honda expected to lease only 1,100 of them for a three-year term, in order to comply with California zero-emission vehicle requirements for the carmakers with the highest in-state sales. With its light, eager driving feel, powerful electric motor, and EPA-rated range of 82 miles, it might have been a bigger success than the limited sales allowed for. Honda hasn't announced whether an EV model will return for the Fit's third generation. Honda did not offer a Fit for the 2014 model year, instead beginning production early for a new 2015 model. I traded a 2008 Suzuki SX4 stick with 2litre engine. This sounds like a tractor and has no power. Had Suzuki For 8 yrs. After 4 months, cannot wait to offload this car. Great handling. Easy to park rear camera perfect addition and lots of storage space. The 2016 Honda Fit could have been so much better with the right engine.